A man twice approached and touched a 62-year-old woman who was sunbathing in East Grinstead on Wednesday April 15. Sussex Police said the woman was sunbathing next to the football pitch at the Kings Centre, Moat Road, East Grinstead at about 1pm when a man approached her. He touched her upper body next to her ribcage and walked off in the direction of the children’s playground exit. Police said at 1.20pm the same man approached the woman again and began to massage her shoulders. She told him to go away and he was seen to walk towards Moat Road. She was not hurt. The man is described as white, in his early 60s, about 6’, of medium build and grey hair that went down to the bottom of his ears. He was unshaven and was wearing dirty blue jeans, a dirty grey T-shirt and dirty white trainers. He spoke with a local accent. PC James Josling said; “This was an unusual occurrence and has upset and worried the woman. No other such incidents have been reported locally. 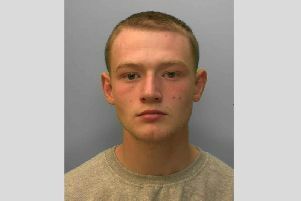 Anybody with information can contact Sussex Police via 101@sussex.pnn.police.ukor call 101, quoting serial 1207 of 15/4.